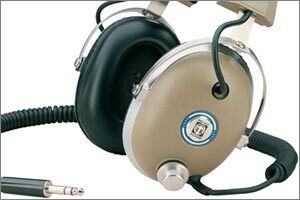 I imagine that all of us have gotten sucked into the argument of analog audio versus digital at one time or another. Amplifier fans duke it out over solid state audio amps versus classic tube technology all the time. It's not all nostalgia though. The main emotional payback for investing in tube technology (besides the reassuring orange glow coming from your stereo cabinet) is that your audio feels "warmer" - even CD sources are supposed to sound better after being piped through a tube. Here in the pages of Retro Thing, we've discussed both sides of the issue. 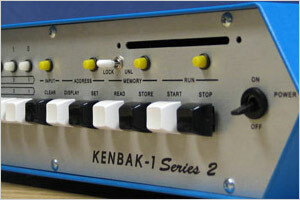 We've written about high end CD & DVD players with tubes built in and the world's smallest tube amp. So audio and video seem to be well covered, but as more and more people are using their computers to listen to music, what can we do to make our favorite MP3's sound better? 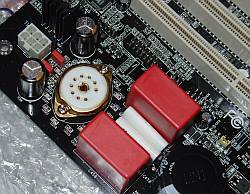 Aopen has been making motherboards for a number of years. At first this one looks pretty much like anything else out there - but wait, what's that roundish socket? No way. It's a PC motherboard with a socket for a vacuum tube! While the onboard audio is pumped out by a typical soundchip, it makes its way through the tube to get the analog treatment. The main thrust of this system is to beef up music and gaming audio but I'm even more interested in hearing the results from a softsynth, sound that's all generated from inside the PC. Having said that, I'm sure that I'd crank some MP3's through the thing - so many MP3's are compressed so far down that they sound rotten, so maybe the "imperfections" in the old SovTek tube can smooth out some of those digital era audio hiccups. Unfortunately I haven't done any of this stuff on my own yet. 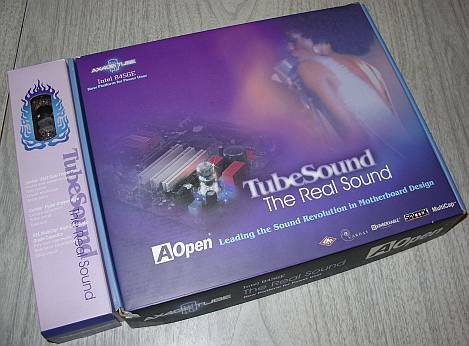 I've had the motherboard for a while now (why hasn't AOpen made a simple sound card version with the tube on it? ), but I haven't installed it yet because I'd like to find a Retro Thing worthy PC-case (especially if it's a luggable case of some kind). Any ideas out there?